Transform and Make Your Ubuntu Look Like Mac - Not long since released, Noobslab publish new Mac OS X Yosemite theme for Ubuntu 16.04 LTS Xenial Xerus. 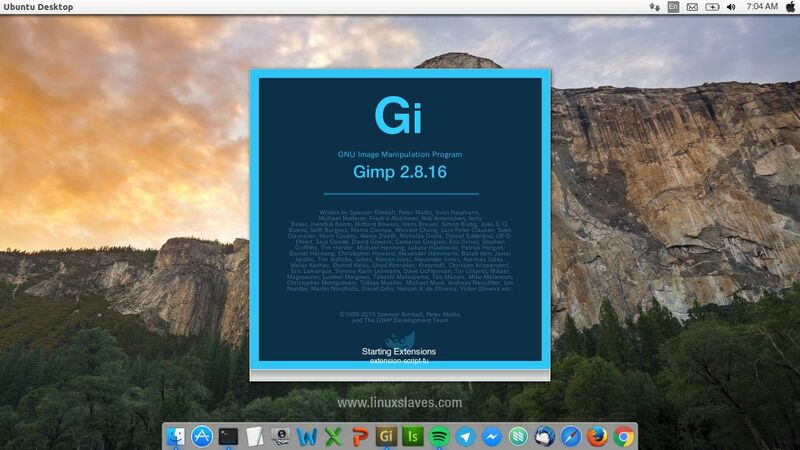 It can be installed and compatible with Unity, Gnome Shell, Cinnamon, Mate also Xfce desktop. 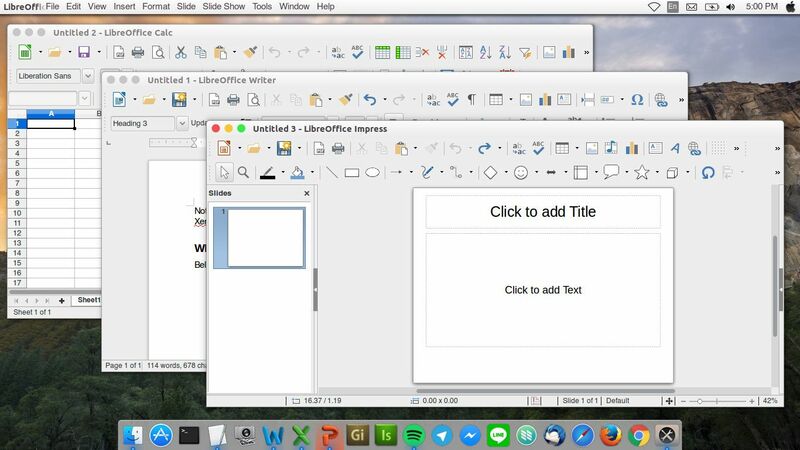 Macbuntu is Mac OS X Transformation Pack, an open-source program, designed to transform Linux’s appearance and layout into a Mac OS X environment. Although Macbuntu is dedicated to Ubuntu Linux OS, it could be used in other OS based on Debian/GTK. They really do great work to build this transformation pack. Macbuntu contains GTK themes which supports: Unity, Gnome, Cinnamon, Mate and Xfce two Gnome Shell themes ( dark & light ), two themes for Cinnamon, two icon packs, also cursors. Icon set compatibility for 16.04. 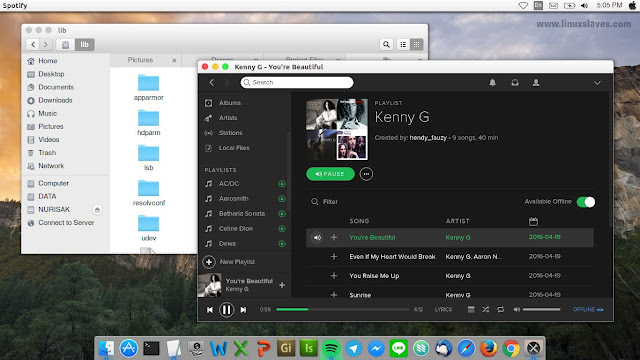 GTK themes supports Unity, Mate, Gnome, Xfce, Cinnamon. Two themes for Gnome Shell dark and light version, and two for Cinnamon. Mac theme for LightDM-webkit auto configuration. 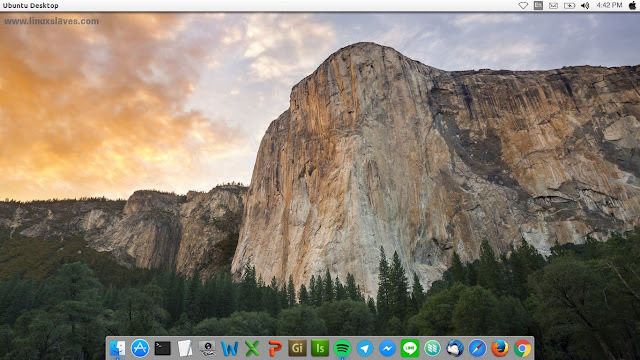 First of all, to get more good looking desktop, you can download some of Mac wallpapers. You can get it all in one pack at Apple Mac OS X Wallpaper Collection Pack. 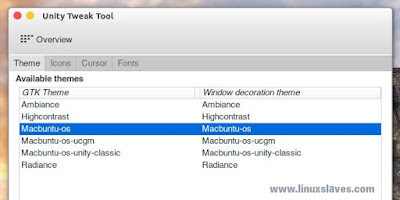 For Ubuntu with Unity user, we need to install tweak tool to change the themes and icons. This is a settings manager for the Unity desktop. Once installed, now you can open it from dash, or terminal by run unity-tweak-tool. Next, install the theme, and icons pack. After the installation, open Unity Tweak Tool that installed at the previous point. 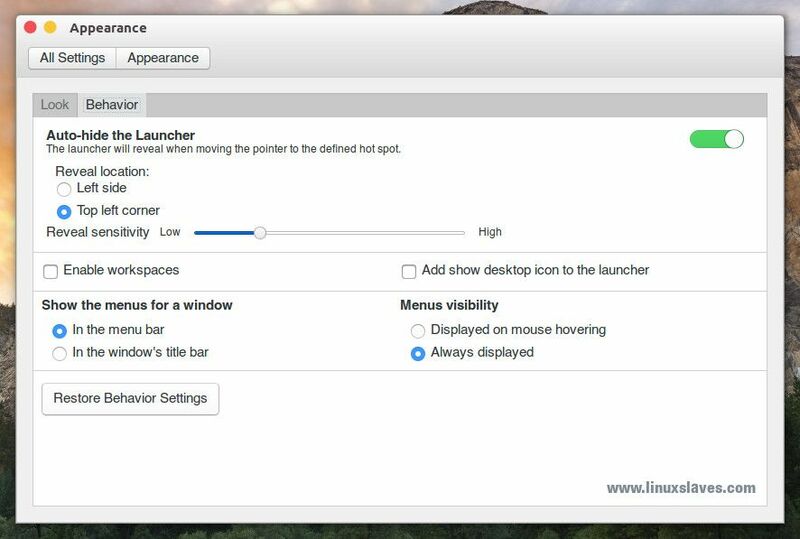 Go Appearance box then set it to Mac theme, also with icons and mac cursor. 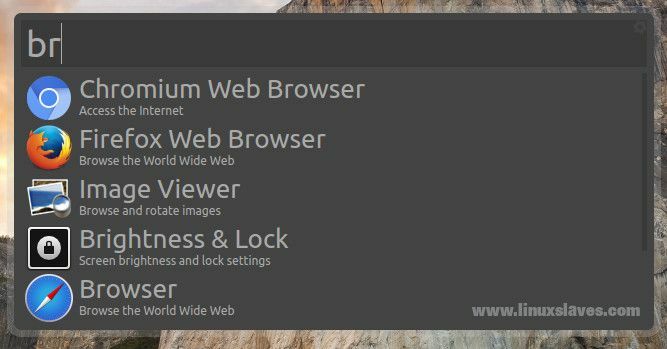 Synapse is an utility to launch everything you have on your computer. It uses zeitgeist to search into the user's activity. You can open any applications, access documents, locate files/folders quickly. You can launch Synapse easily by using Ctrl+space shortcut key, it can be changed easily from its preferences. There are some skin you can use : Virgilio, Doish, Side Dosih, Essential, Default. Albert is a selection-based search system, which creates an index of all items and files on the system created by Manuel. It offers much same features just like Synapse Indicator. 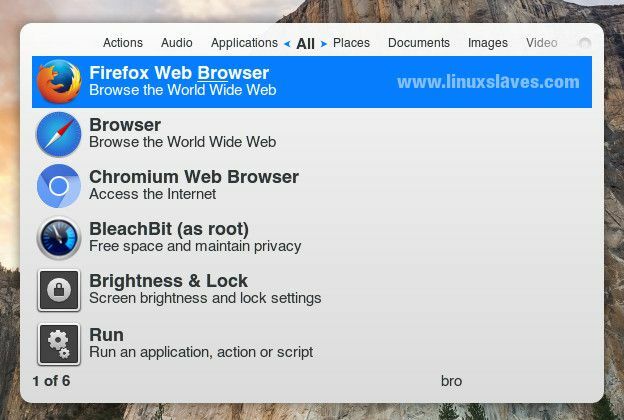 This application designed to help user quickly locate, open, any application, documents, photos, pictures, documents, music or system preferences on your Linux computer. Once installed, open Albert from Ubuntu dash, then set the hotkey to activate it! Plank dock is lightweight dock app as alternative Mac OS X Dock. What's Plank? Plank is meant to be the simplest dock on the planet. The goal is to provide just what a dock needs and absolutely nothing more. If you need more themes for Plank, you can try our new post and grab the package from 3 Cool Themes For Plank. How to change Plank Dock themes? Open Plank from the dash. Another cool dock for Linux is Docky. 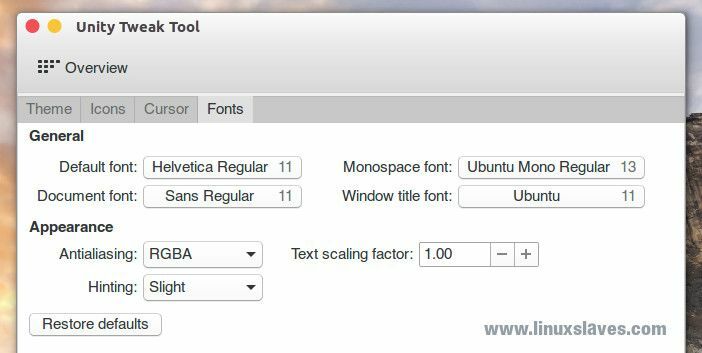 You can read how to install and use it at How to Install Docky From a PPA in Ubuntu Linux. This point will increase Macbuntu theme looks more elegant. Get download helvetica font from Get Helvetica Font. Move Helvetica font to ~/.local/share/fonts. 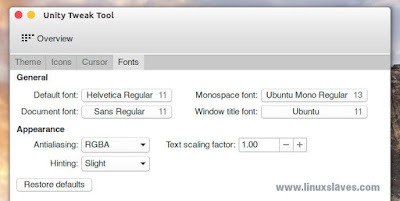 Start from 16.04 Xenial Xerus, now Ubuntu support to move launcher to the bottom. You can read at 3 Ways Move Ubuntu 16.04 LTS Unity Launcher to Bottom of Screen. Linuxslaves has been shared this ( tutorial, themes & icons). You can read how to change LibreOffice writer theme with Microsoft Office 2013 theme at Microsoft Office 2013 Theme For LibreOffice. There are 4 choices. Blue, Yellow, Purple, and Orange (which is looks brownish). 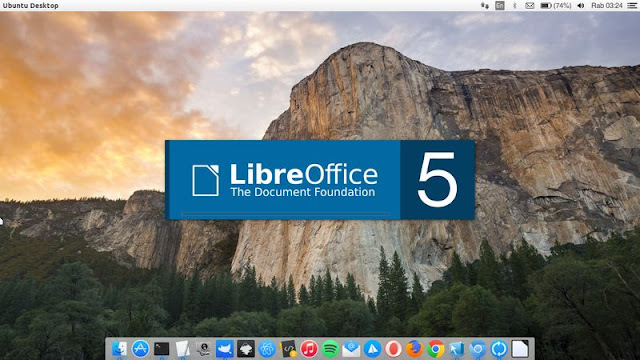 You can get the splash images from the new post Custom LibreOffice Splash Screen. Please note : Change /en/ in the second command above with your locale, if you using non-English version. This is optional stuff. If you love a flat view, you can remove the panel shadow. To do to, you need create an image with Gimp, Inkscape, or other your preferred image editing tools. Step 8 - You have done! For details of the tutorial also the package, you can read our newest post at 4 Themes That Will Make GIMP 2.8 Look and Work Like Photoshop.